Lake Norman is quickly become known as an alternative for people living in Florida or once thought of moving to Florida. If you are familiar with Florida you know that tax hikes, insurance prices and hurricanes have made it a pretty expensive place to live these days. More and more Florida residents are moving back up north to ya…. you guessed it, Lake Norman. I have been getting more and more inquiries and clients coming up from Florida then ever before. Lake Norman is the perfect place to relocate weather you are looking for a great place to retire or join the ever growing work force in the Charlotte area. With a great economy plenty of new development and more entertainment then you can shake a stick at, Lake Norman is simply a great place to live. Relocating to a new area can be a challenge sometimes. Keep in mind it is never going to be the perfect time to move and you only live once. I should know, my wife and I relocated to the Lake Norman area years back and we absolutely love it. We wish we would have move here earlier. When helping a client or clients relocate to the area I help them with everything from their home search to job information to school placement and anything one would possibly need. Lake Norman, NC is a great place to live and a great place to raise a family. The weather is extraordinary with an average winter temperature of 39, a summer average temperature of 79 with very long fall and spring seasons with an average temperature in the low 70’s with no humidity. 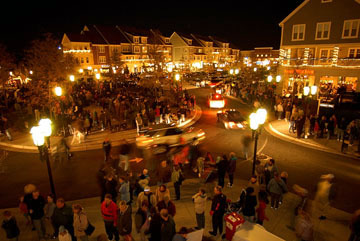 The Lake Norman area is loaded entertainment value including several great restaurants, the famous Birkdale Village, Lowes Motor Speedway, NASCAR Team Displays, NFL Panther Football, NBA Bobcats Basketball and a number of fun lake activities. If you are looking for a place with plenty of new development, friendly people and a great economy, then Lake Norman is your kind of place. Many of the nation’s leading companies have chosen the Charlotte / Lake Norman area for their corporate headquarters. Some of these companies and organizations include the majority of major NASCAR Teams, Lowes Home Improvement, Irwin Tools, Phillip Morris, Rubbermaid, Bank of America, Wachovia Bank, BB&T Bank and Ingersoll Rand just to name a few. Freightliner Trucks are also rumors to be relocating from Ohio as well. Lake Norman is located just 15 minutes from the city of Charlotte, just 40 minutes from the mountains and 3 hours from the beach. The combination of it’s great centralized location, strong economy, great weather and rapid development have made Lake Norman and the Charlotte area as a whole one of the most appealing places in the country to relocate too. If and when you visit you will find a vast amount of transplants (people) from all over the country that have blended in and learned to enjoy the laid back but productive lifestyle of the south. It is not uncommon for the bagger at the grocery store to ask if they can bring your groceries out to your car and load them for you. A little example of that southern hospitality you hear about. As a leading Realtor in the Lake Norman / Charlotte area I have worked with many families and individuals that have relocated to the area for various reasons. I thoroughly understand the re-adjustment that people must go through in order to make a successful move to a new area. New neighborhoods, new neighbors, new schools, new friends, new jobs, new everything…….. For some people it can be challenging. It is my job to make that process as easy as possible and help you adjust to the area as quickly as possible. I can help you and your family with everything from finding a qualified REALTOR to selling your current home out of state to finding your new home in the Lake Norman / Charlotte area. Once we get your current house sold and find a new one I would be glad to help you with everything else you would need to get comfortable in your new community. I can recommend, Doctors, Dentists, Veterinarians, Hospitals, Shopping, Restaurants, Entertainment, Private Schools or anything else you can think of. I am available for any questions or concerns at any time. Come and make Lake Norman, NC your new home town. I look forward to the opportunity of helping you with your relocation plans. Remember that it is very important to find a qualified REALTOR to both sell your current home as well as help you find your new home. I would be glad to help you with both. Lake Norman is 34 miles long and has some of the country’s most beautifully built luxury homes along its 520 miles of shoreline. Home to CEO’s, professional athletes and everyday people who just like to have fun in the sun, Lake Norman is quickly becoming one of the most popular places in the United States to live. If you have not been here it is worth the visit. 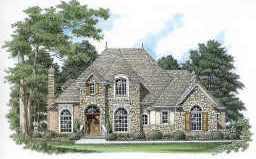 Luxury Homes around Lake Norman start in the $400’s and go well into the $Millions. 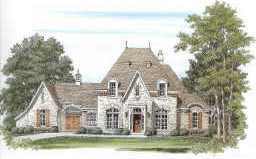 Here are some of the Luxury Home communities I specialize in. Feel free to view the current listings. I would be more than happy to send you any additional information or even set up a personal viewing of the listings you are interested in. Would you like to know how much your house is worth? 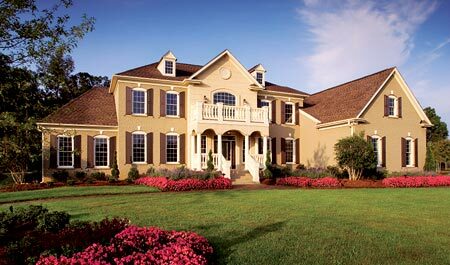 Even during this challenging time in the housing market Lake Norman area houses continue to increase in value. In fact the Charlotte / Lake Norman area market was one only 5 markets in the United States to gain market value from June ‘06 to June ‘07 and was 2nd only to the Seattle market. Homes in the area gained in value 6.7% during that time and gained even more value in years past do to a strong economy and a tremendous amount of families relocating to the area from all over the country. The Lake Norman area has built a strong reputation among people looking to relocate do to the great job market and centralized location. It is located just 15 minutes from the City of Charlotte, 40 minutes from the mountains and 3 hours from the beach. So….. You can see that there still is a quality market for both sellers and buyers in the Lake Norman market area. If you are not familiar with a Comparable Market Analysis (CMA) it is a great way to get an accurate idea of the value of your home. I would be glad to help you with this process for no charge. Many Realtors charge for this service but I feel it is more important to build a relationship with possible future clients. When performing a CMA I will look for comparable properties that have similar feature to your current home that were recently sold in your area. From this information that I will retrieve off of the Multiple Listing System (MLS) I will be able to come up with an accurate listing price for your home. I can email this information to you. If you would like to list your home or wait until a later date the choice is yours. I am more than happy to help. Get your free CMA here! Below you will find the population statistics for the most popular towns around Lake Norman, NC. Click the link for each town or county and get the complete breakdown for each area. You will also find School and Utility links below. Below you will find the average annual climates for the Lake Norman area. Feel free to subscribe to this Lake Norman real estate information site for future information about Lake Norman Real Estate and area land development. Subscribe above! Are you planning on making a move in the near future? You might want to think about checking out the Lake Norman area. America’s leading builders ranging from D.R. Horton and Ryan Homes to Luxury Custom designs by leading custom builders are building in the LKN area as fast as zoning can be approved. A recent USA Today article rated the Lake Norman / Charlotte area only second to Seattle in home equity growth from June ’06 to June ’07. There were only five areas in the entire United States that increased in home value during that time period. Think of the perfect area you would want to move to and you might come close to the description of the Lake Norman area. Here is a description: Lake Norman is 34 miles long, 8 miles wide at its widest point and has 520 miles of shoreline. This beautiful lake offers plenty of recreational fun for all ages. Whether you like riding a watercraft, wakeboarding or just cruising along the shoreline looking at some of the multi-million dollar homes their is something for you. If you feel like getting away you are only 3 hours from the beach, 40 minutes from the mountains and 15 to 30 minutes from the city (Charlotte). The cost of living is still low for such a growing area and the economical growth is outstanding. With major companies like Bank of America, Wachovia Bank, BB&T Bank, Ingorsol Rand, Rubbermaid, Irwin Tools and Lowes Home Improvement Company having their corporate headquarters in the area, their are plenty of jobs available. The Lake Norman area is also home to about 90% of the NASCAR Teams. All of these companies and all of these jobs mean plenty of real estate growth. On October 16th 2007 the Huntersville town board voted 7-1 to approve the rezoning of 190 acres on Fred Brown Road in northeast Huntersville. The rezoning is a go ahead for national luxury home builder, Toll Brothers to develop a 235 home community as long as they agreed to pay $3.7 million for number of infrastructure improvements needed in the area that include road improvements and a new sewer line extension. The community itself as mentioned earlier will consist of 235 homes that will sit on 1.25 acre lots with 105 foot average lot widths. Prices will range from $450,000 up over $600,000. Seventy Five acres will also be put aside for greenways, common areas, walking trails and pocket parks that will give the community a very wide open and spacious appearance. Additional space is also being put aside for future elementary school.